After a long and successful run as Lamborghini’s “entry-level” supercar, the Gallardo’s successor has arrived amid a frenzy of attention. Expectations were high for this new Lambo, and now that more details have surfaced and the Huracán has hit the floor of the Geneva Auto Show, it looks like we are in for another exceptional piece of kit. Lamborghini’s design language has been very linear since the launch of the Murcielago, and the Huracán fits right in. Designer Filippo Perini did an exceptional job of maintaining Lamborghini’s harsh and angular esthetic, all the while giving the new model a sense of fluidity that hasn’t been seen in this range since the days of the Diablo. All that trick bodywork doesn’t just make this one of the best-looking Lamborghinis out there. The Huracán has a three per cent lower coefficient of drag than the outgoing Gallardo and, surprisingly, the downforce has increased by 50 per cent without the use of any aerodynamic tricks. Inside, the underlying tone of linear evolution continues. The Huracán’s interior comes beautifully clad in a combination of leather, suede and brushed aluminum, and, as expected, its attention to detail is top notch. While its flat-bottomed steering wheel and aircraft-style switches are carried over from the Gallardo, the remainder of the interior benefits from a substantial refresh that includes a few key elements borrowed from the Aventador. The most noticeable update is its stunning all-digital instrument cluster and its bright red start-stop button in the centre console. One other key difference worth mentioning is the absence of a manual gearbox. Lamborghini CEO Stephan Winkelmann previously mentioned the severe rarity of manual-gearbox orders, so it’s little surprise that the option went the way of the dinosaur. Official word is there will never be a manual-gearbox Huracán on the market, but knowing the brand’s penchant for building special limited edition models, there is at least a faint hope. What really makes this the next latest-and-greatest Lambo is what’s under the hood. The horsepower count is up by an impressive 50 ponies over the outgoing Gallardo, bringing the Huracán’s total to 610. Rather than upping the displacement, Lamborghini opted for getting a bit clever with its fuel delivery and engine tuning to give a proper dose of extra grunt. 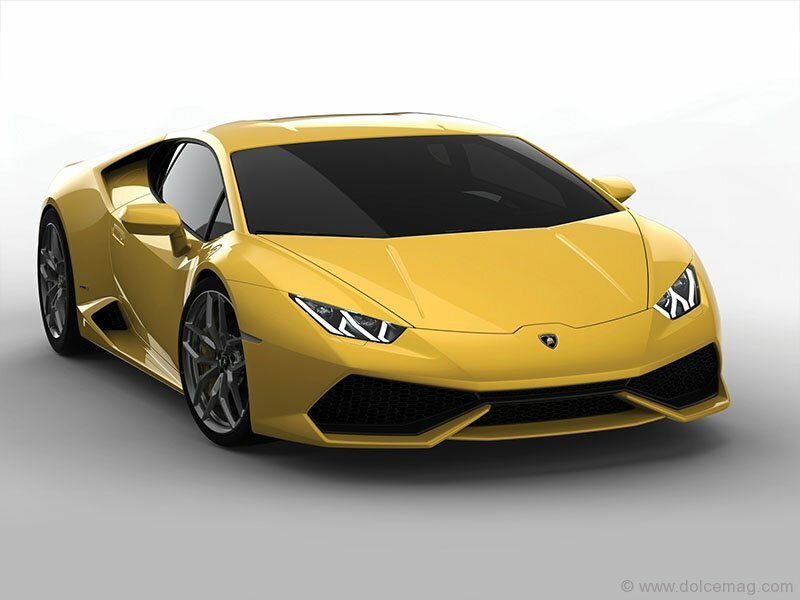 Most interestingly, Lamborghini’s engineers equipped the Huracán’s engine with both direct and port fuel injection for tighter control of fuel delivery. When it comes to swapping cogs, the Huracán makes use of an Audi R8-derived seven-speed twin-clutch gearbox, which then mates to a completely redesigned all-wheel drive system. With all that power at all four corners there’s no surprise the new car is blisteringly quick. 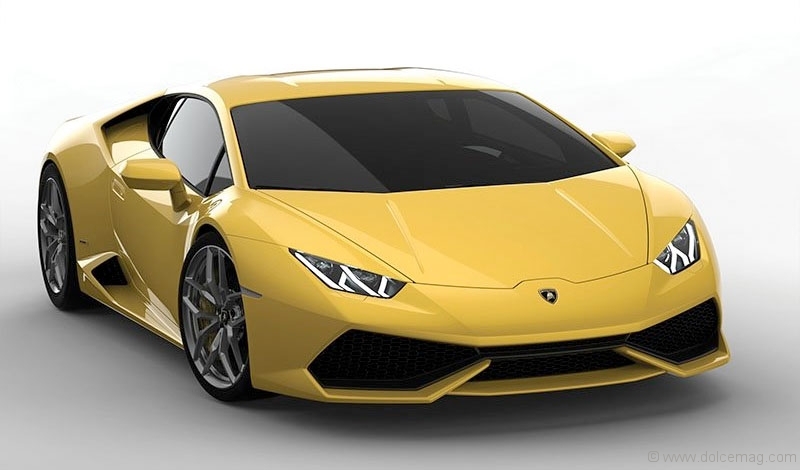 Official specs say the Huracán will race from 0 to 100 kilometres per hour in a mere 3.2 seconds, and it will keep that rush of acceleration going to 200 km/h in less than 10. If you’re looking for the fastest route to a string of speeding tickets or a shortcut to the impound yard, look no further. The Gallardo was far from being a slouch by any stretch of the imagination, but this Huracán will be the new go-to for anyone who needs to get somewhere five minutes ago. With Lamborghini already announcing that over 1,000 units have been presold, it looks like this could be one of its bestselling cars yet.